Here at Penningtons Office Furniture, we can provide a wide range of used furniture for offices of all kinds. If you’re looking to outfit a call centre, we can provide used call centre furniture to suit your needs. Our used designs are available at a fraction of the cost when compared to buying new. 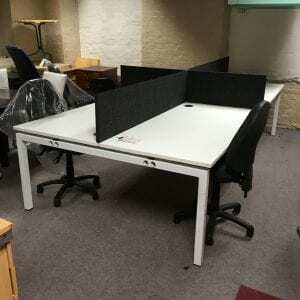 If you’re looking for call centre bench desking, get in touch with our team today. The used office furniture that we provide will deliver years of reliable service in all kinds of office environments. 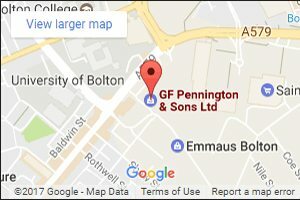 If you’re looking for call centre furniture of any kind, get in touch with the Penningtons team today. All of the desking that we can provide has been tested and, where required, repaired to deliver long-term service. We only sell high-quality used office furniture. That means you can place complete trust in the equipment that we’re able to provide. For more information on our wide range of bench desking and call centre furniture, get in touch with our team today. You can call our furniture specialists directly on 0800 688 9018. If you prefer, you can also use our simple online contact form and we’ll get back to you as soon as possible.